Sony has just officially announced a successor to its ZL-line with the Xperia ZL2 for the local Japanese market. Much alike to the first Xperia ZL, which was a slimmed-down version of the waterproofed Sony Xperia Z, the ZL2 also comes in a more manageable package which measures in at 137 x 72 x 10.8 mm and weighs 167 grams (5.39 x 2.83 x 0.42, 5.89 oz.). Unlike the previous ZL, however, the ZL2 is water- and dust-resistant. The ZL2's internals, however, stay true to Sony's approach with the ZL line -- you're getting top-of-the-line hardware, but slimmer bezels. To that end, we have a 5-inch, 1080x1920 pixel resolution display (441 pixels per inch) powered by a powerful, quad-core Snapdragon 801 (MSM8974AB) and 3GB of RAM. At the back, we have that impressive 20.7-megapixel, 1/2.3'' sensor with G Lens and a fixed 3000 mAh cell. The usual connectivity options, like Bluetooth 4.0, GPS, Wi-Fi 802.11 ac, and NFC, are also all on board. Last, but not least, the Xperia ZL2 comes with Android 4.4 KitKat installed out of the box. The ZL2 comes in three color options -- black, white, and turquoise. Sony is mum on price and exact release date, though we can't imagine either of these two details are too far off from becoming public knowledge. On the other hand, international unavailability remains a big question mark. Update: this article previously stated that the Sony Xperia ZL2 is not IP-certified, which is incorrect. So,an xperia Z2 without the waterproofing? http://www.youtube.com/watch?v=woOcmHVfU4M yes it is waterproof! I am sad that Sony isn't offering IR blasters in their phones anymore... only on tablets... Am I wrong? No its Xperia ZL with 1/2.3" sensor, 3000 mAh battery, SD801 and IP58. More of the same? Who would even look at this? Z1 but slimmer bezels and SD801? What was Sony thinking? Yup. Plus that slimmer bezels comes at an expense of smaller battery and increased thickness. No point of this phone really. The same amount of people who will buy S5 mini when it is a rebranded S3. Taste and preferences, some may prefer a slimmer bezels and a different design from the Z1/2. I love sony but that's a hideous looking back! It is waterproof according to source. http://www.sonymobile.co.jp/xperia/au/sol25/spec/spec.html Basically this is smaller Xperia Z2 with smaller display, bit smaller battery, plastic back and bigger internal storage 32GB. Still got stereo speaker and noise cancelling function. Thank you! just what I wanted to know! Hopefully the plastic is as good as the one on my Acro S... This phone just climbed to the top of my list of "next device"
This is probably another Japan only model. Z2 is not available in Japan so they get this one instead. OG Zl was looking great when i held it infact better than Z. But this one is fugly and thick atleast in the renders. 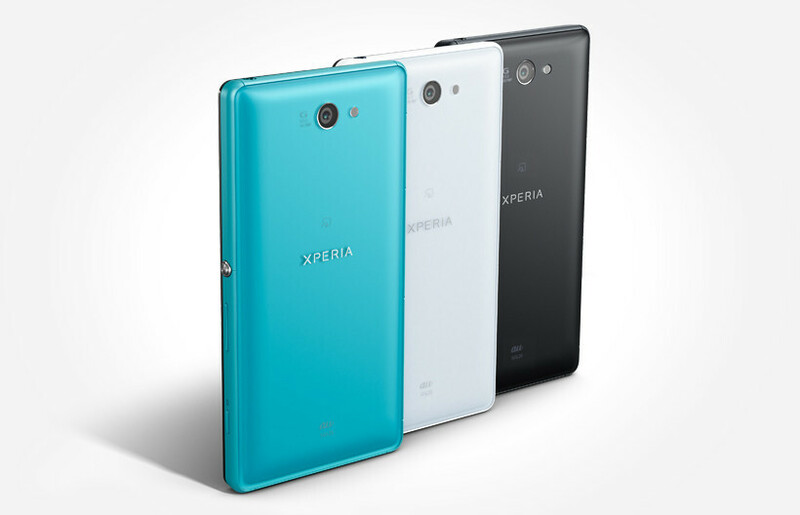 Design is more like Xperia ZR than ZL. wow! i don't like it!